For years, digital health has been heralded as the saviour of health services and the answer to patient engagement. Now the conversation is changing from what technology can do, to what it might need a little help with – and that’s offering the human touch. We are living through a revolution in technology, yet in no other sector is empathy, understanding and human interaction more important than in healthcare. And as the world around us becomes ever more automated, it’s time to take stock and make sure innovation still has people at its heart. During a session on technology in care at last year’s MS Trust annual conference, Christine Singleton, a Clinical Specialist Physiotherapist in Birmingham, extolled the virtues of technology in the quest to deliver high-quality, patient-centred care. She also highlighted its limitations. “We are all human. Everyone needs a raft of support, from family, friends, healthcare and other professionals. We all respond to love and compassion,” she said. Of course, technology, digital health and mobile health (mHealth) initiatives have the potential to improve patient activation and self-management. But not on their own. As any self-respecting student of behaviour change knows, sustainable change is hard, and relapse is the norm. Whether it’s taking more exercise, quitting smoking or the hard slog of managing a long-term condition, we all fall off the wagon sometimes. When we do, it takes more than an app to get us back on the right track. We need people. A number of reports have been published that agree with Christine. Part of the problem is that a certain amount of human-led “ground work” is needed before digital heath interventions can be truly effective. “Making the most of technology to support self-management requires patients to have a certain level of knowledge, skill and confidence to meaningfully participate in their health and care,” said the paper, a joint publication between the MS Society and The Nuffield Trust. The same problem applies to using the internet, which offers so many opportunities to help people understand their condition, prepare for a consultation and better cope with every-day life. “There are lots of reasons why people might stop using the internet for their health care – of which one of the most prominent is people with MS becoming scared or anxious after finding worrisome information about how their condition might progress,” the report said. This isn’t restricted to MS. It takes people to make sure patients have everything they need to make use of the multiple digital health tools out there to manage their condition. Keeping patients engaged in the long-term is a struggle. Both reports agree that putting the patient at the centre of the design process is the only way to make sure interventions meet a true need, that are both useful and functional. “By focusing on what we can do with technology, we have forgotten about the human element of what we are doing: the patient,” says The truth is out there. A person’s healthcare team is there to support and educate in a way that an app never will. mHealth may well be part of a care package, but without human backup, it won’t do the job it was designed to do. Pharma has heavily invested in developing treatments that transform lives, said The truth is out there. “Beyond-the-pill services” like mHealth can help to ensure patients get the best out of these treatments, optimise adherence, improve outcomes and increase loyalty – all leading to the best possible return on that investment. So, from development to preparation to ongoing support, it’s time to put the people at the centre of complementary therapy that is digital health. Health Prize Technologies (2018). Non-adherence: pharma’s final financial frontier. Available from: https://deep-dive.pharmaphorum.com/magazine/deep-dive-patient-centricity-2018/non-adherence-pharmas-final-financial-frontier/ (accessed August 2018). Frontera Group (2018). The truth is out there: The revolution will not be digital. Available from: http://frontera-group.com/wp-content/uploads/2018/07/mhealth-whitepaper.pdf (accessed August 2018). IQVIA Institute (2017). 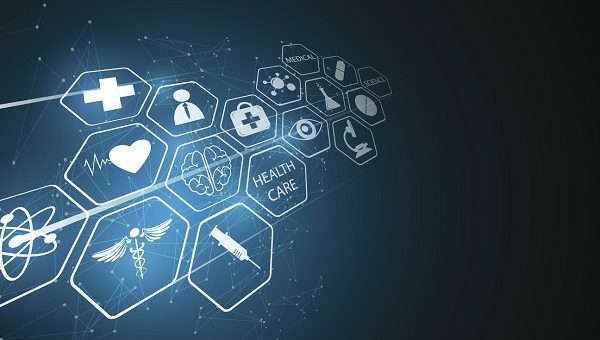 The Growing Value of Digital Health in the United Kingdom: Evidence and Impact on Human Health and the Healthcare System. Available from: https://www.iqvia.com/institute/reports/the-growing-value-of-digital-health-in-the-united-kingdom (accessed August 2018).